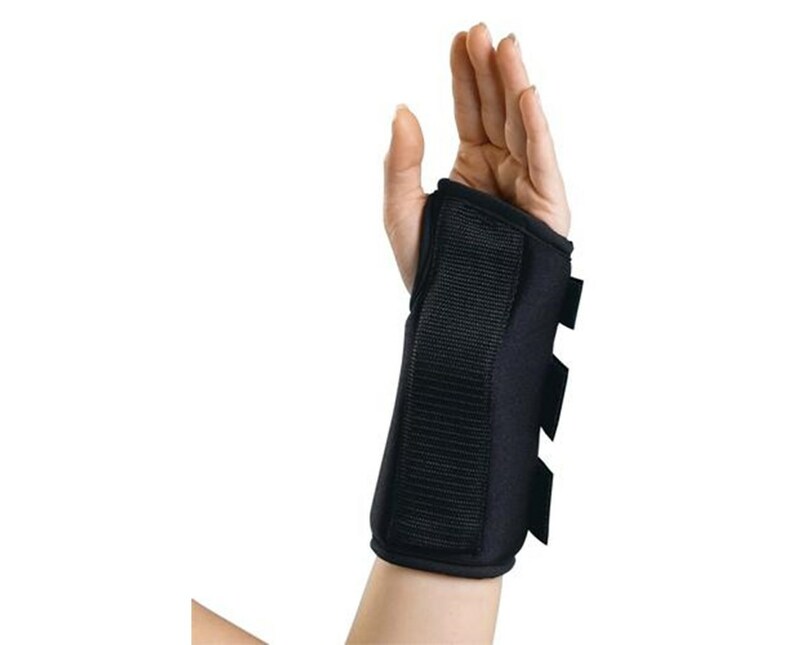 Curad's Nylon Wrist Splint has a plush foam lining, is soft and breathable, and uses a slip-on design with 3 hook & loop closures to achieve an effective level of compression. The splint includes removable & adjustable aluminum palmer stays and is latex-free. 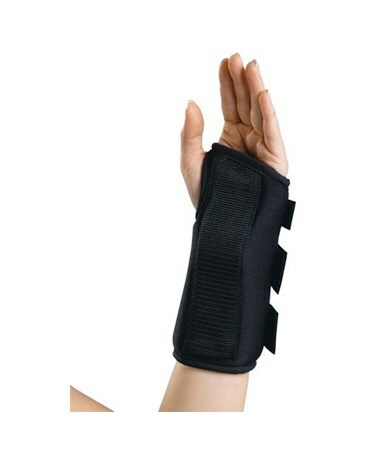 We offer Curad's Nylon Wrist Splint in four sizes for left and right wrists, sold individually. Select from the drop down menu above and order online direct by clicking "add to cart!"